Anyone is welcome to join us at our LAFPI Gatherings and other events… if you’re a writer who identifies as female, bring 1 page of your work for our Micro-Reads! When you arrive at the Gathering or event, just drop your page into the Micro-Reads box. Depending on how many pieces we have, we may decide to read them all at once, or break them up during our Gathering. Micro-Reads have been a great way to get to know each other’s voices as writers. No pressure, just sharing the work. If you have multiple characters, you may want to bring printed copies for all roles/actors. (Alternatively, it’s fine if a couple of readers share one script!) Oh, and it’s a good idea not to have more than 5 characters. Please include your name and email/contact info on top of page. What if I’m a male writer? We love you, but we won’t be reading your work during our Micro-Reads. Chances are, however, we’ll put you to work as an actor! And if you’re non-binary, let’s talk… we’re all about being inclusive when it comes to getting women’s voices out there, along with stories that need to be heard. All artists and arts lovers are welcome to eat, drink, chat + connect at LAFPI’s Quarterly Gatherings, and any other events. We hope to see you soon! 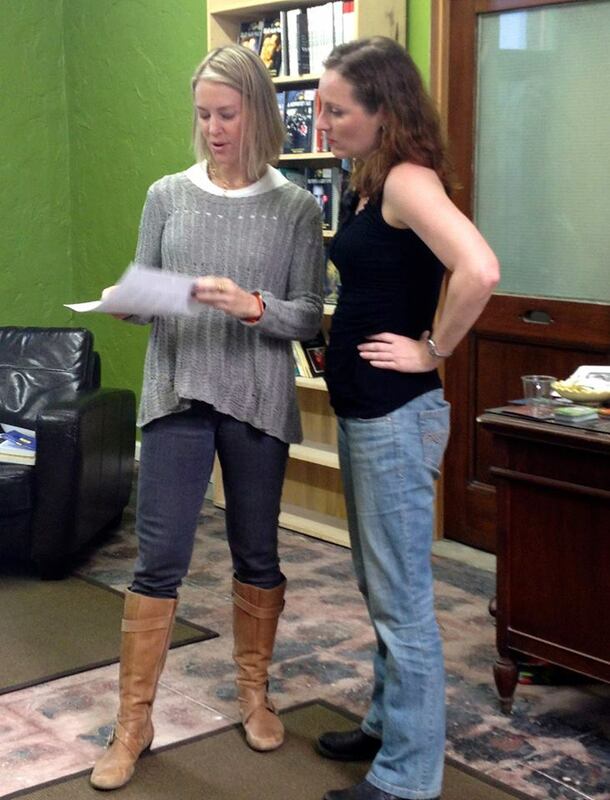 I will be bringing a Micro read for two actresses. “She Remembers Anger”. I have a short Christmas themed play. Do you need an RSVP? I love this and think it’s great and inclusive of new/old emerging women writes. Please keep me abreast to when you have something for ALL or writers who specifically regard themselves as Men. Thanks for your support, Mark! While our events will always focus on female-identifying writers, our eBlasts always contain info for writers of any gender and our events are always open to all!